© Matthew Docherty. All rights reserved. Feral cat living by train tracks, Hanoi. 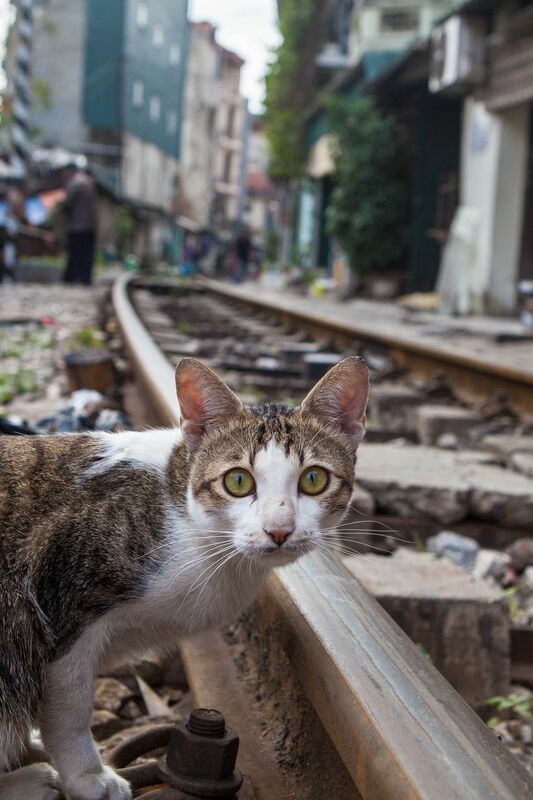 A feral cat lives a nervous life on the famous Train Street in Hanoi. Date Uploaded: Sept. 13, 2018, 4:20 a.m.